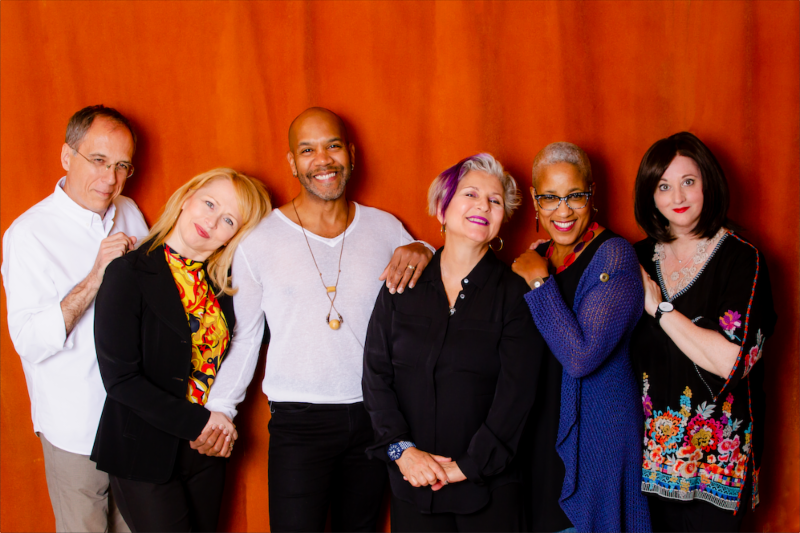 Ice on the Hudson features vocalists René Marie, Janis Siegel, Darius de Haas and Karen Oberlin and an all-star ensemble interpreting diverse songs about the emotional complexities of adult life in today’s world. There’s a special chemistry that’s found only in the rarest of songwriting partnerships, forever linking the names of composer and lyricist in the minds of listeners. The names Renee Rosnes and David Hajdu are already well known to music lovers: Rosnes as one of her generation’s most acclaimed jazz composers and pianists, Hajdu as an award-winning author and critic. With Ice on the Hudson, their first collaborative album of songs, the pair reveals a breathtaking synergy, crafting a collection of deeply felt and genre-defying songs that join words and music with alchemical results. Ice on the Hudson, due outOctober 12 via SMK Jazz (a newly launched imprint curated by Smoke Sessions Records), brings together four magnificent vocalists: revered, GRAMMY® Award-nominated jazz singer René Marie; Manhattan Transfer co-founder and nine-time GRAMMY® winner Janis Siegel, celebrated musical-theater actor and art-song interpreter Darius de Haas; and acclaimed jazz/pop performer Karen Oberlin. Their voices are matched by a stunning ensemble, featuring Rosnes at the piano along with cellist Erik Friedlander, saxophonists Steve Wilson and Seamus Blake, clarinetist Ken Peplowski, bassist Sean Smith, drummer Carl Allen, and percussionist Rogerio Boccato. While both Rosnes and Hajdu can boast considerable accomplishments in their respective fields, songwriting was a fairly new endeavor for both. Rosnes had had a handful of instrumental compositions set to lyrics, and Hajdu had collaborated on a few songs with Fred Hersch and others. When Rosnes and Hajdu decided to try writing together, five years ago, “Everything clicked,” in Hajdu’s words. Siegel’s voice seems to float into a whimsical daydream on “I Used to Like to Draw,” a tender reminiscence of the childhood days when we all gave vent to our imaginations, before the supposed reality of adult life quashed such fancies. Siegel also sings “The Passage,” which takes the natural splendor that inspired Rosnes’ instrumental piece “Gabriola Passage” into the realm of transcendence. On the title track, “Ice on the Hudson,” she takes the bizarre fact that the Hudson River flows both upstream and downstream as a metaphor for the often contradictory aspects of grown-up reality – one of several instances of complex ideas that stem from the collaboration between two artists with a wealth of life experience. Hajdu based “To Meet My Brother” on the tragic loss of his sister and the feeling of wanting to be reunited, whatever the cost. Darius de Haas brings tender yearning to that piece and an urgent sensuality to “Confound Me.” His knack for theatrical drama illuminates “Trotsky in Mexico,” a Sondheim-like musing on the Russian revolutionary’s fling with Frida Kahlo. New Ron Carter Quartet European dates! 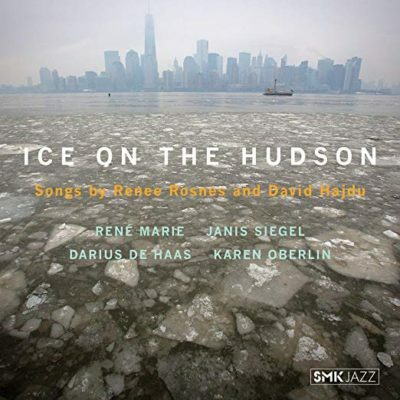 ICE ON THE HUDSON is available on iTunes & Amazon!